Are you ready to celebrate Thanksgiving soon? 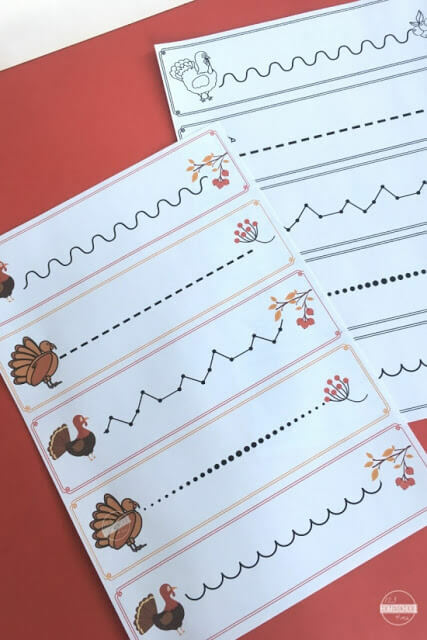 You will love these free printable Turkey Pre Writing Practice perfect for adding to your upcoming Thanksgiving theme. Gobble-gobble, help the turkey to its food! Did you know that pre-writing practice is important for young children because it develops not only fine motor muscles and pencil control, it also practices writing direction. In this instance, the turkey wants to get to the berries(turkeys love to eat berries!) and the child must help the turkey get there- in fact, writing from left to right just like we do when we write! 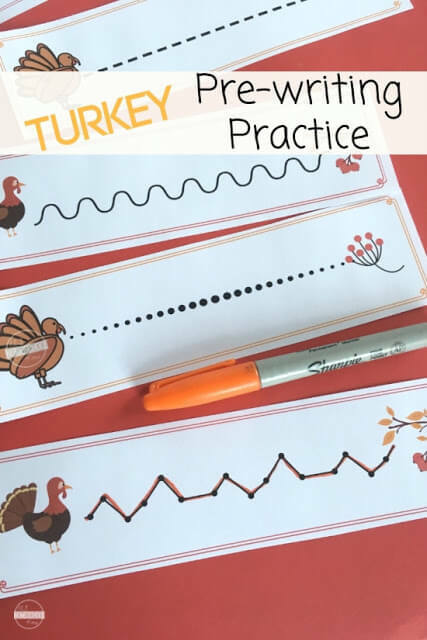 These Turkey Pre Writing Practice are sure to be a fun way to practice. You will find a color version and a blank/white version in the free download. You can laminate the sheets to make it reusable. You can also cut it into strips so that more children can use it at a time without having to print out too many sheets. Remind the child to try NOT to lift the marker/pencil when writing(some kids need this challenge). 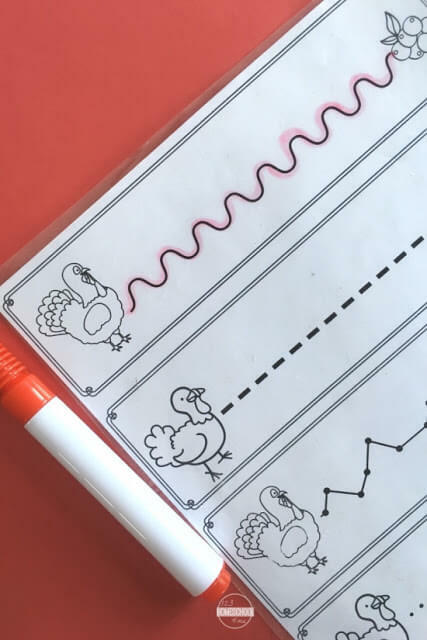 It is quite a difficult task with some of these patterns, but it practices writing fluency which will help a child when he/she writes cursive and to write quickly, but with control. 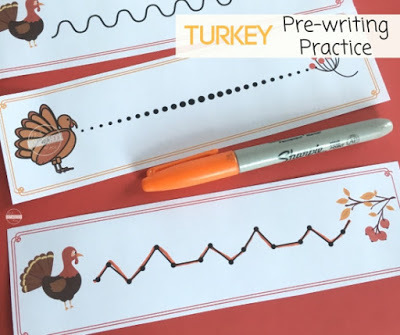 Get practicing with these cute turkey pre-writing sheets while having fun too!